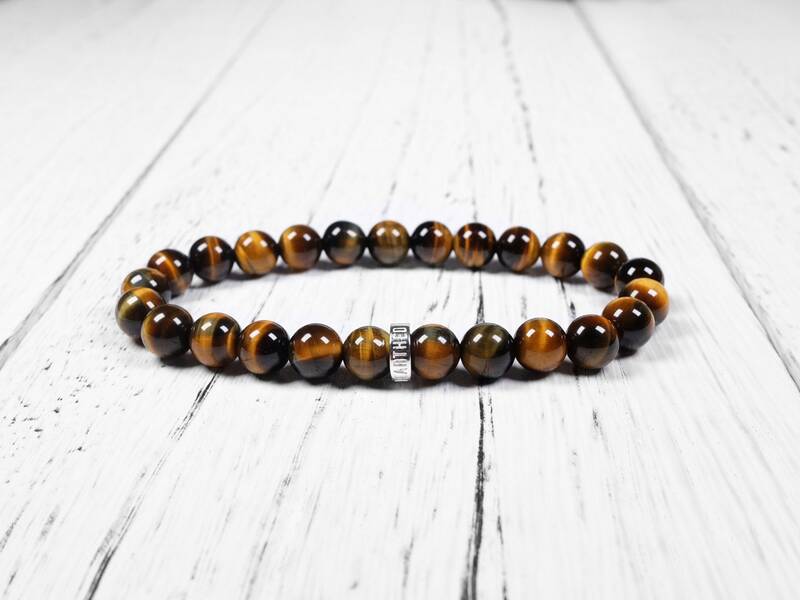 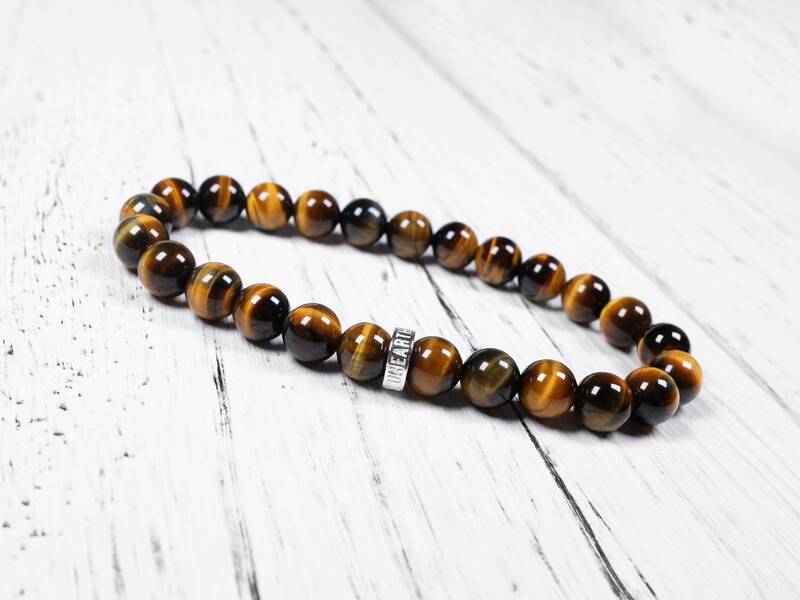 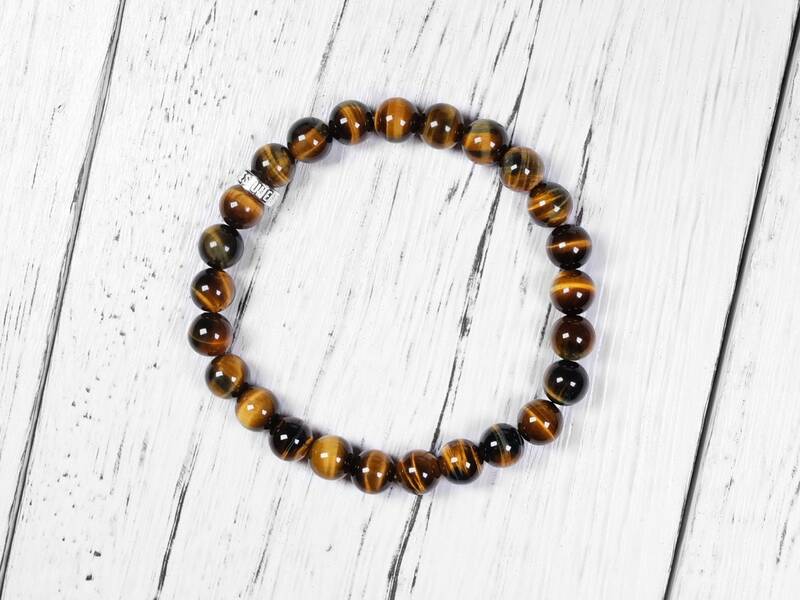 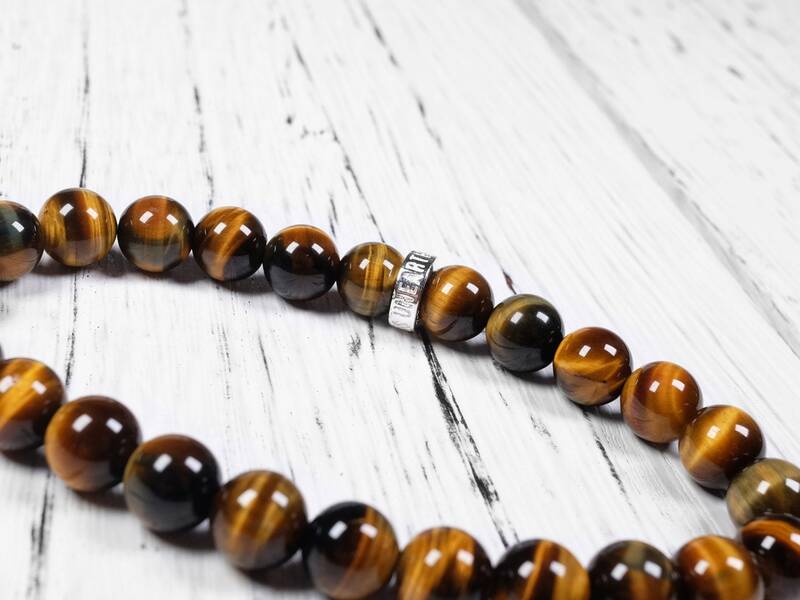 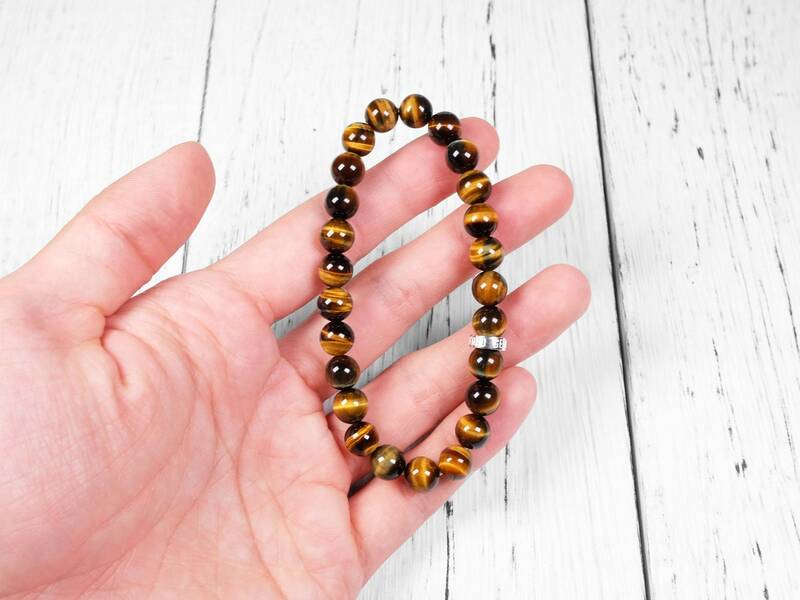 This bracelet is made with naturally formed blue and yellow tiger eye. 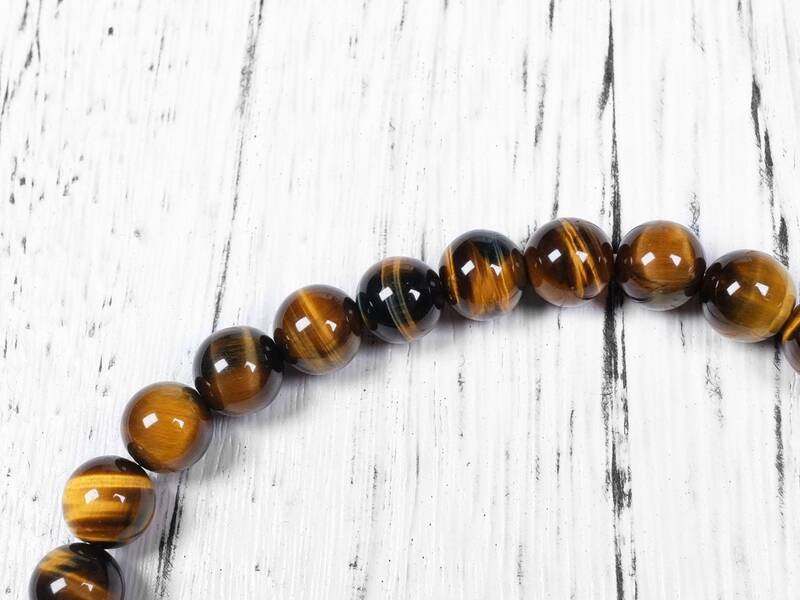 This one has more yellow color than blue. 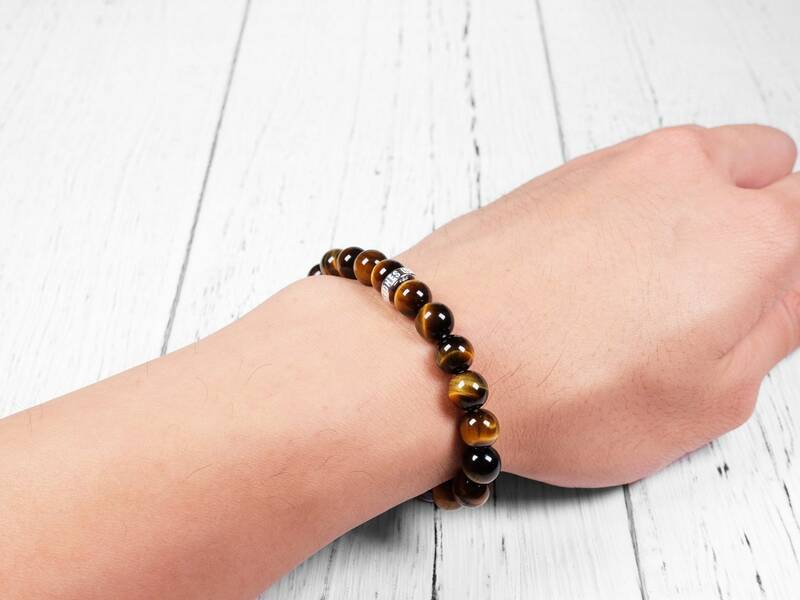 The blue is pretty subtle and is only found in some parts of the bracelets. 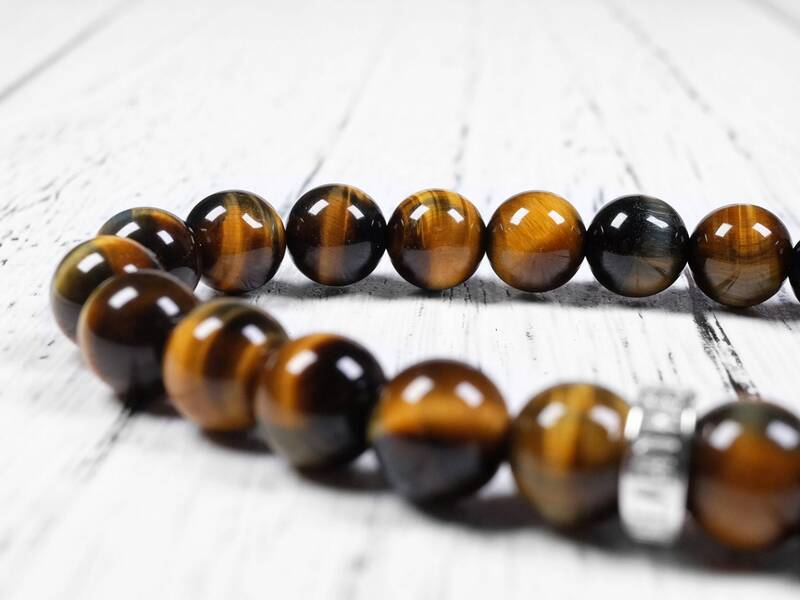 The chatoyance (tiger's eye/cat's eye) effect is pretty good. 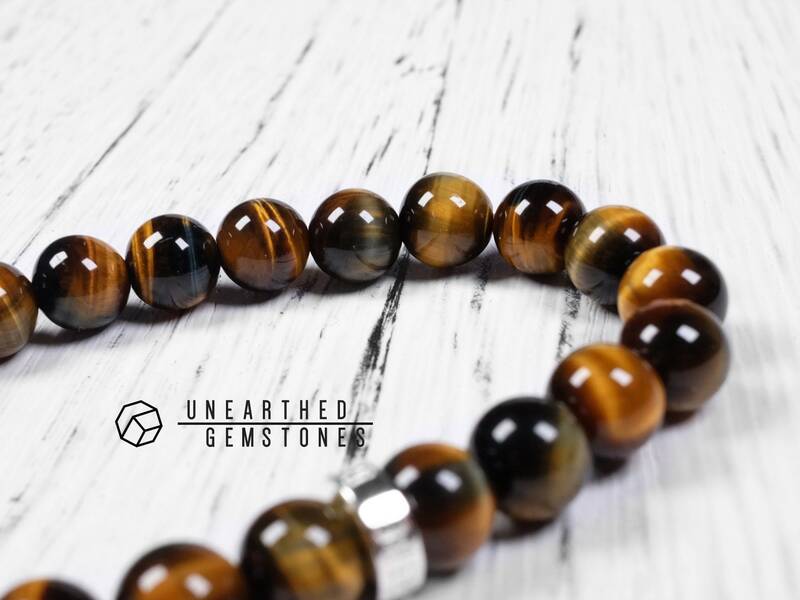 With the Unearthed Gemstones sterling silver, this bracelet is a great choice for wearing this interested gemstone.